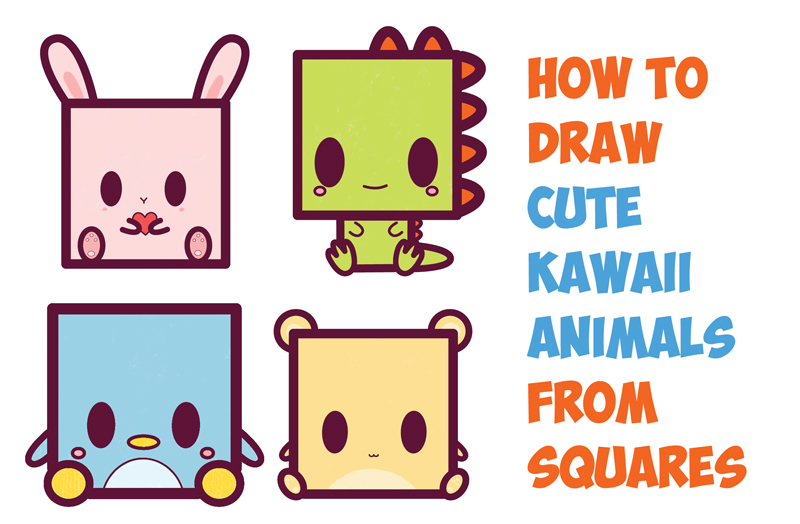 Today I will show you how to draw cute kawaii-style characters and animals using a square shape. These are super easy to learn how to draw, especially because we use basic geometric shapes, letters, and numbers to show you how to draw them. Great for children and beginners. Have fun and happy drawing! 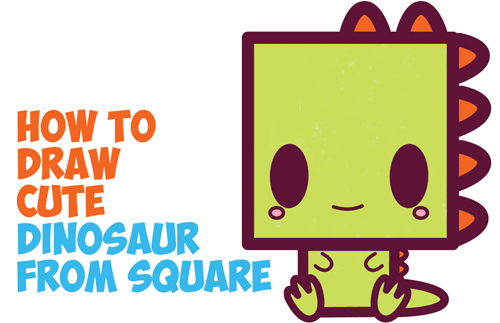 Today I will show you how to draw a cute / kawaii / cartoon baby dinosaur using a square shape. We will guide you through the easy steps using letters and basic shapes. The following simple-to-follow step by step instructions for drawing this cute kawaii dinosaur are fun and effective. Have a great time!